Sputnik discussed the vote with Brian Raftopoulos — Director of Research and Advocacy, and Solidarity Peace Trust and Research Fellow at the International Studies Group at the University of the Free State, South Africa. Sputnik: How expected were the results of the election to you? How big is this vote for the nation? Brian Raftopoulos: There were some opinion polls recently which predicted a very close call. I think the problem is that the victory is something that many Zimbabweans are questioning, they’re questioning the credibility of it.They’re questioning the legitimacy of it, because of the history of electoral rigging, electoral violence and state repression. So this so-called victory is something that many Zimbabweans do not accept. Sputnik: How likely is it this to cause political turmoil and uncertainty in Zimbabwe? Brian Raftopoulos: I think the state has already shown what it does to protestors. On the 1st of August, six people were killed, the army was brought in, and what should’ve been a police matter was dealt with by the army and six people were shot. So the kind of repressive strategies from the Mugabe era have continued into this era. I don’t think there is likely be mass protests because those I think will be quickly put down. But I think the legitimacy of this election and this regime will continue to be in question. 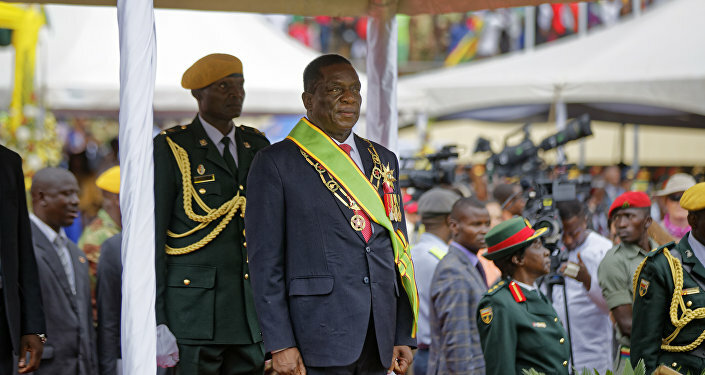 Sputnik: What do you think about Mr. Mnangagwa as the leader of the nation? What difference could the new government make for the nation, that had been ruled by the same man for decades? Brian Raftopoulos: I think he has shown in the way he responded to the dissent that there is more continuity than change from the Mugabe regime.I think after November, he was sending out all kinds of different signals about a peaceful country with free and fair elections, with tolerance, open for business, re-engagement with the West, all the kind of messaging which has been part of the opposition politics for nearly two decades. But what we’ve seen most recently, is that once confronted with legitimate protests and challenges, he reverts to the usual stereotype of ZANU PF repression. So I think people have very little faith, many people, certainly he’s got his supporters, of course, but there are many in the opposition and in the diaspora who simply don’t trust him. Sputnik: Why do people still vote for the ruling ZANU PF party? Brian Raftopoulos: I think it’s a combination of things, one is, obviously, ZANU PF do have a support base, based on many factors, one, is the legacy of the liberation struggle, two, is the kind of the land question in which many people receive land, so there’s kind of consensual basis, but it’s also combined with a history of fear, where people are afraid because of the violence that is imposed on people who oppose the regime, the control traditional leaders in rural areas who have control over much of the rural population, control over resources like agricultural inputs, so it’s a combination of those issues.Sputnik: What challenges is Zimbabwe facing right now? Brian Raftopoulos: I think it’s facing huge challenges. One, of course, for this government the legitimacy question is still there, but the bigger problem is with the economy. Zimbabwe has been very rapidly informalized; in the 1980s the informal sector was, you could’ve counted tens of thousands, by 2016 96% of the working population was in the informal sector. So formal sector employment has declined drastically, there’s been a massive reconfiguration of the economy, the main formal sector work was in the public sector, civil servants, but in the private sector there’s been a massive shrinkage, so for many of the youths they have no prospects of employment, no prospects of a future, they cannot plan their lives in any predictable manner, and this is creating anxiety and insecurity within families and within livelihoods. Sputnik: Do you think Emmerson Mnangagwa will be able to solve these issues? Brian Raftopoulos: I have a great doubts about it, I think that the first thing, the first battle is he has to get over this question that the opposition parties and many other parties who fought in the election have not signed off on this election result, so the legitimacy of this regime is still in question.Many of the promises of support that he got from the British and the Europeans, the possibility of engagement of the international financial institutions were premised on the legitimacy of a free and fair election, and until this thing is resolved, there is going to be very little moving forward with regard to economic assistance. Sputnik: What could the new government do to resuscitate Zimbabwe‘s economy and get Zimbabwe back on the international stage? 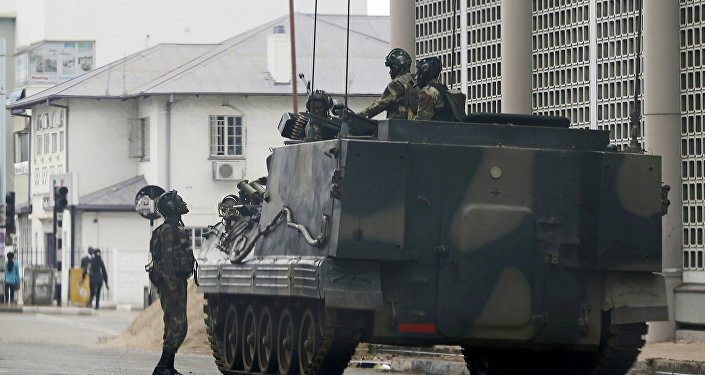 Brian Raftopoulos: I think first of all, the Zimbabwe government will need to provide certain levels of security, political security, but also economic security for any investors, as anywhere else in the world, and they would have to deal with the massive debt problem that Zimbabwe has, and that means dealing with the IAFS from a very weak position and that would require some assistance for them. They would require investment to be able to both invest in the agricultural sector and in mining, but also to boost what was once a quite vibrant manufacturing center, and to create the linkages between agriculture, mining and manufacturing that was once there in the past, but to do it in new ways and more innovative ways, and more inclusive ways. That will demand a whole set of not just political reform, but the kind of security of investment that many investors would require. Views and opinions expressed in this article are those of Brian Raftopoulos and do not necessarily reflect those of Sputnik. Letter from Africa: Did Mugabe's support backfire?